Northeastern notes that the country’s coasts are rich with potential for wind farms, but much of these coastal waters are undeveloped. 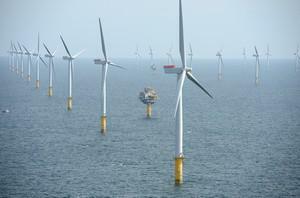 There’s one fixed-bottom wind farm (a wind farm with turbines attached to the soil beneath the ocean, not floating on top of it) on the East Coast, Hajjar says, off the coast of Block Island in Rhode Island. That research is already underway. This week, Hajjar and his colleagues put their heads together with industry leaders, public officials, and other academics from the U.S. and France in a conference called theFrench-American Innovation Day. The conference was co-chaired by Myers, who is an associate professor of civil and environmental engineering.